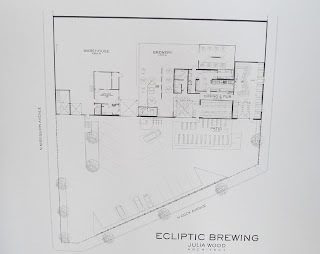 John Harris' new brewing endeavor here in Portland will be called Ecliptic Brewing. He announced the name at a media gathering Sunday afternoon, after which the public got the same news. More on why he chose the name shortly. 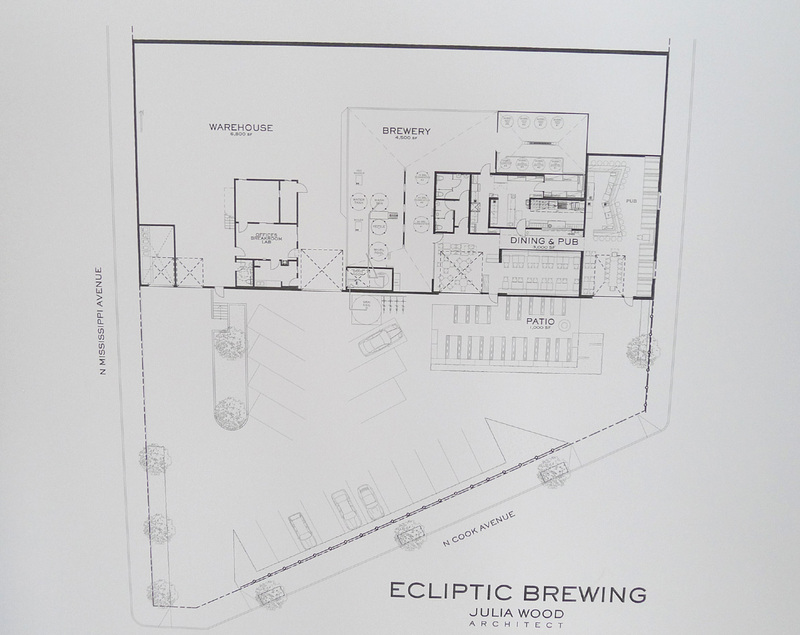 The building that will house Ecliptic Brewing is a former auto body repair shop. No residual solvents or stinky smells, thanks very much. 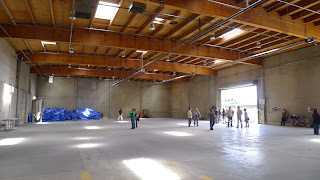 The place is huge...14,175 square feet. 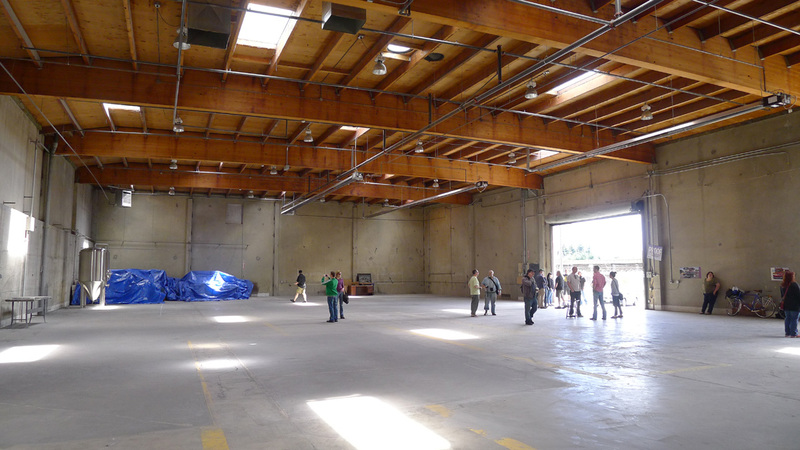 When he was looking for a building, John figured he needed 10,000 square feet. Then he got to thinking about the need to expand and do barrel aging. "More space," he said to himself. Then he found this place, a perfect fit. Harris expects to use about 3,000 square feet for the pub and restaurant part of the operation, which will also have an outdoor patio. The brewery will consume some portion of the remaining space, but he'll have plenty of room for expansion and other activities. Architect Julia Wood is working with John to design a space that integrates sustainable principles and functional efficiency. 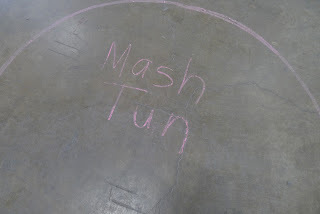 The name is a play on John's interest in astronomy. He apparently enjoys gazing at celestial bodies when he isn't occupied with thoughts of beer or drinking beer. You wonder where he finds the time. 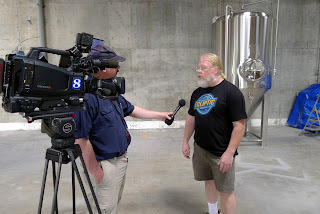 Ecliptic represents the earth's journey around the sun, which plays into brewing in a variety of ways. Look it up. About the beer, the brewing system here will be a 15 bbl system. In an interesting twist, Harris acquired the original Bridgeport Brewing system from Dogfish Head. No word on when the old system washed up on the east coast, but it will be used in Portland again soon. You may recall my earlier post, where I talked about John's background at McMenamin's, Deschutes and Full Sail. He intends to make Ecliptic unique. "I definitely plan to do some things differently than everyone else. I can't really talk about the specifics or those things wouldn't be unique anymore," he said. "You'll see soon enough." When will this place open? That's an interesting question. They are apparently waiting on permits and hope to start construction in 6-8 weeks. Some of the demo may start sooner. 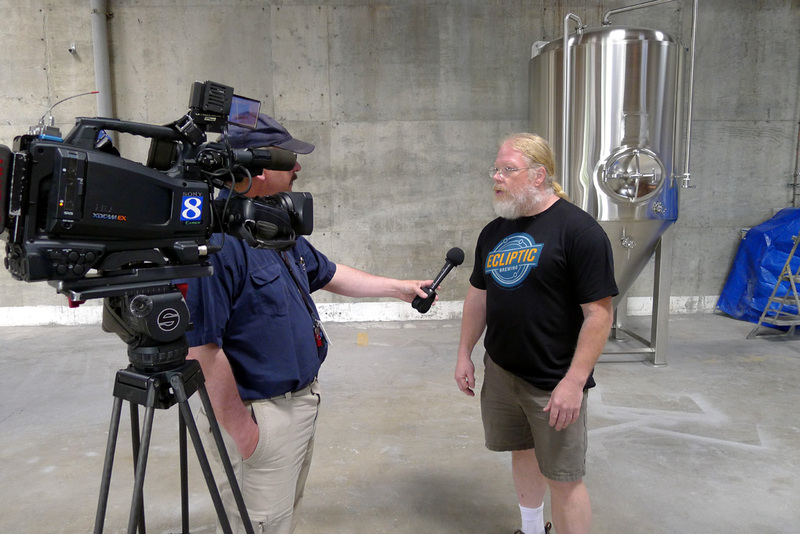 Harris hopes to be brewing by mid-summer, which seems fairly optimistic to me, and hopes to open the pub in the fall. Obviously, everything depends on how well things go...there's a lot to be done. Located in what Julia Wood described as "the gateway to Mississippi," Ecliptic has landed on a terrific spot. I suspect its arrival will simply extend the carnival that is Mississippi north of Fremont. It's only a block to the south, so not much further to walk, ride or drive (yes, Santa, there is a parking lot). For a lot of reasons, this looks like a great venture.